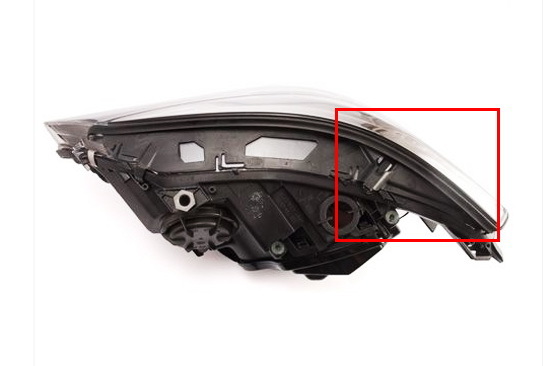 Q: Which BMW 5 Series does this product fit? 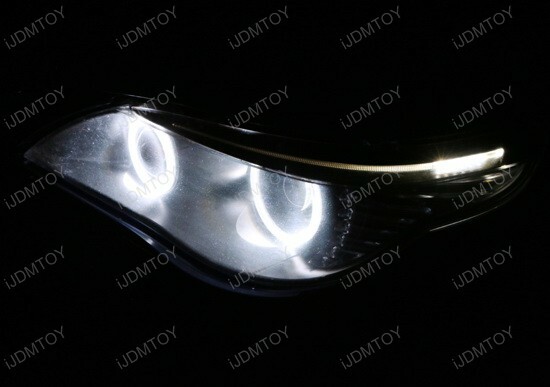 A: This xenon white LED eyelid module will only fit the 2008-2010 BMW E60 LCI models. 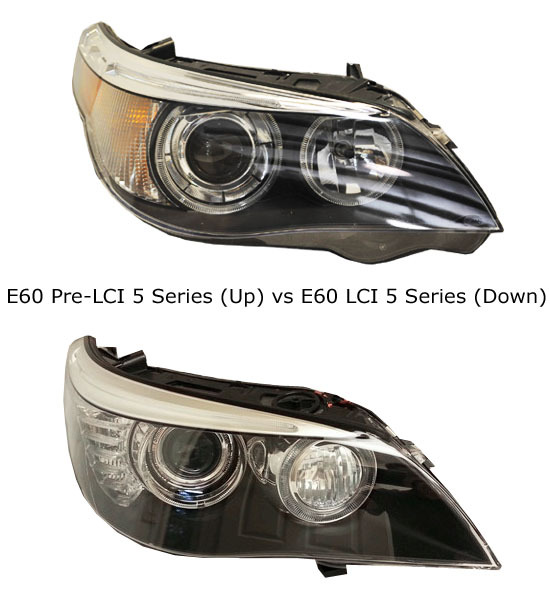 We have shown a LCI 5 Series headlamp vs the pre-LCI 5 Series headlamp below. 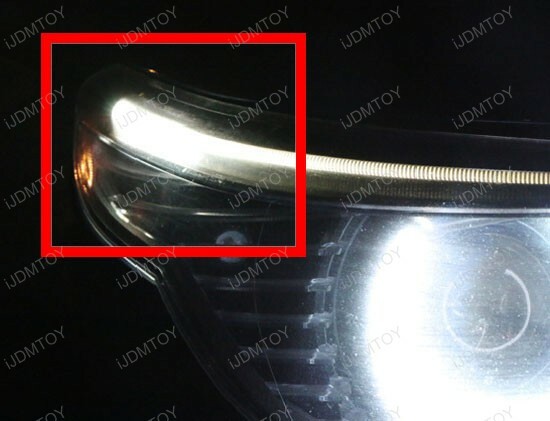 Please make sure your 5 Series has the LCI headlight (the one shown below) before buying this product. 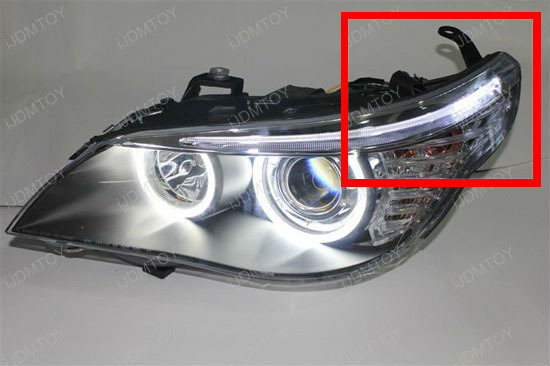 A: In order to install this product, you will first need to open the portion in the picture shown below and remove the inside OEM amber LED module to our xenon white LED module and re-solder the wires. 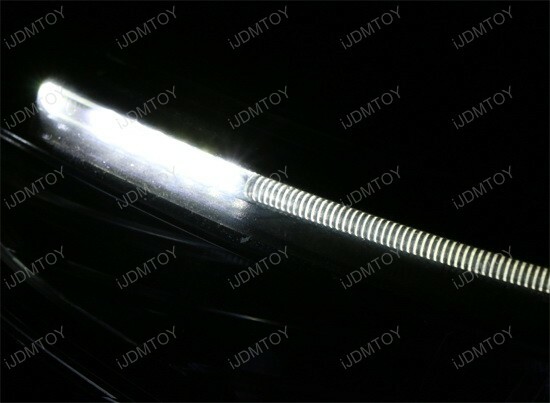 This installation involves some modifications, professional installation is recommended. 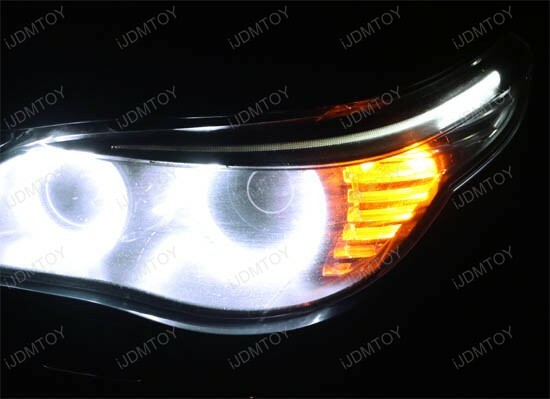 This page features a set xenon white color LED modules for 2008-2010 BMW E60 LCI 5 Series 528i 535i 550i and M5 replacing the OEM amber LED modules for the headlight eyelids. 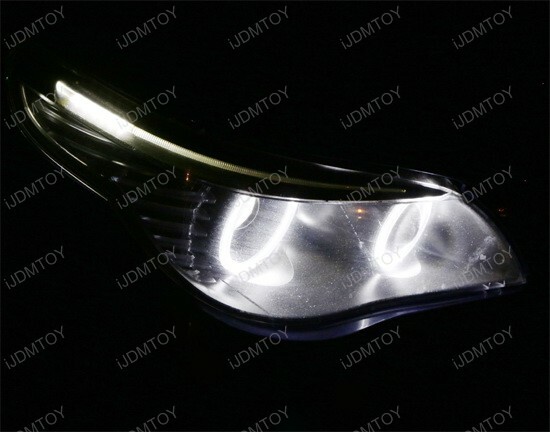 This LED replacement module makes the E60 LCI eyelid mod much easier. 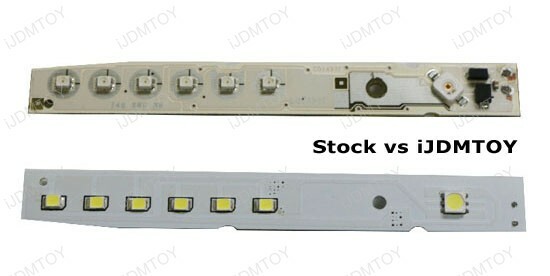 No more unsoldering the amber LED lights off the stock circuit board, then buying and soldering back the white LED lights. All you need is this direct replacement. 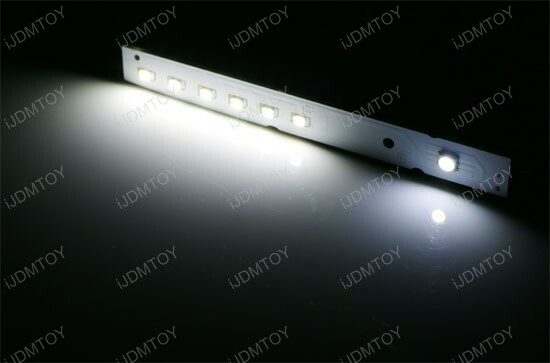 However, even though it is direct replacement, some modifications are still required and we still recommend professional installation for this product. 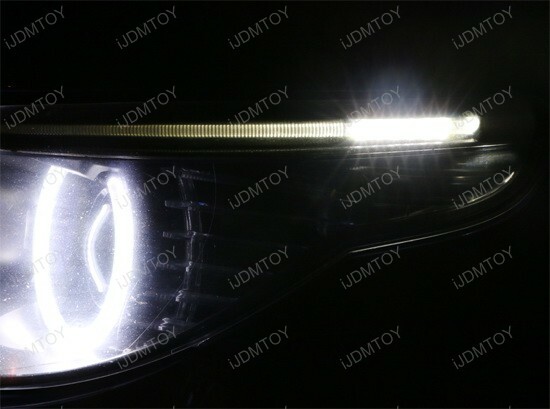 Nice retrofit for my M5. 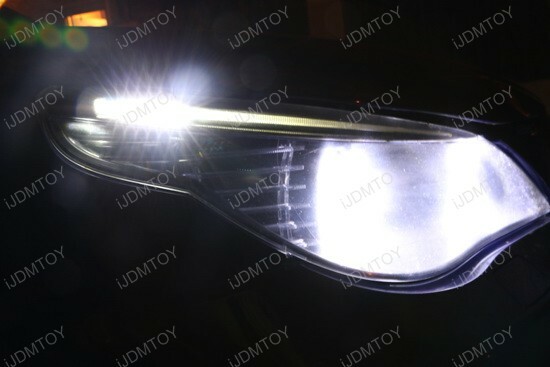 Nice HID matching xenon white color and not so hard to install if you read this product's FAQ. 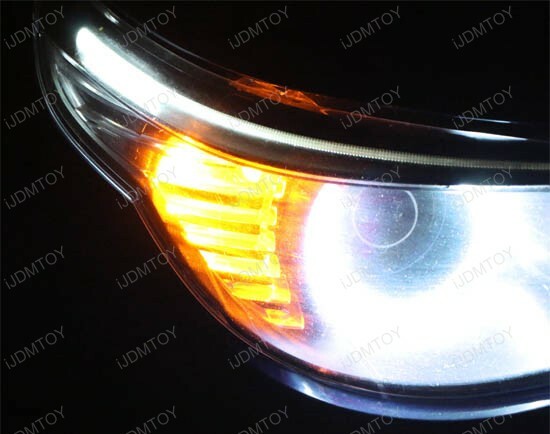 This is the same thing but 10 times cheaper than having someone hand-made this on the BMW Forum! Way to go JDMToy!